The beautiful Hershey Gardens are located in downtown Hershey, Pennsylvania. 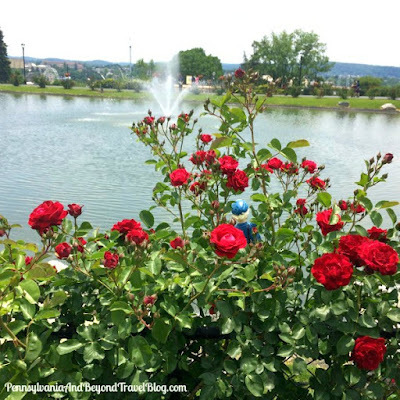 The botanical gardens are close to all of the Hershey tourist attractions. The gardens were created by Milton S. Hershey back in 1937. At the time when Mr. Hershey opened up the gardens to the public, they were approximately 3 1/2 acres in size. By 1942 the Hershey Gardens expanded to a beautiful 23 acre botanical garden. 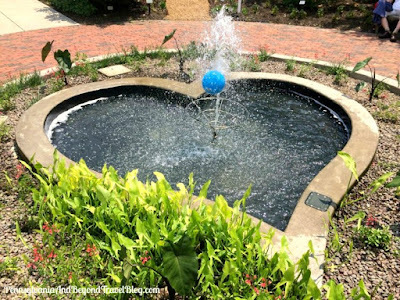 Over the years...the Hershey Gardens have continued to expand and are now filled with "themed" gardens, colorful seasonal displays, unique trees, an outdoor Butterfly House and over 7,500 beautiful roses. 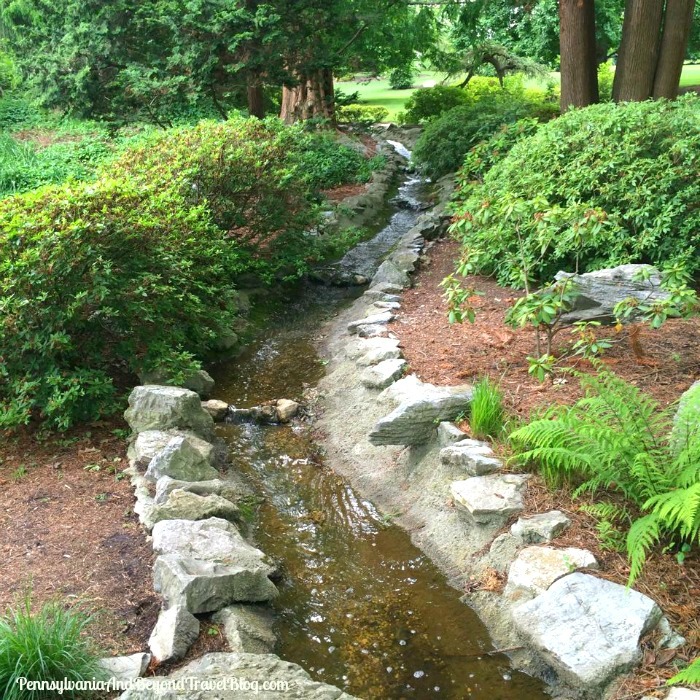 We always enjoy visiting the Japanese Garden, the Rock Garden and the Historic Hershey Rose Garden. There are numerous theme'd botanical gardens to explore. The Children's Garden at Hershey Gardens is a beautiful garden geared towards young children. It is filled with 32 magical "themed" gardens that teach the young kids all about the wonders of nature. When you enter the Children's Garden you will pass through the Catapillar Tunnel, go through the Pretzel and smell chocolate-themed plants. Children just love to visit this garden as it's a lot of fun, unique and beautiful. The Butterfly Atrium has hundreds of butterflies that are freely flying around. Delight in the beautiful colors that these butterflies come in and if you are lucky...get up close and personal with one of these beauties in their natural environment. 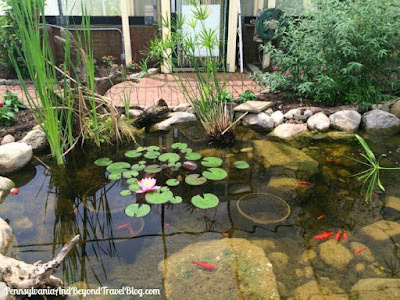 The Butterfly Atrium (House) is one of my granddaughter's favorite things to explore when we visit the Hershey Gardens. You'll see hundreds of different butterflies from all around the world living in a recreated rainforest environment. Please remember to watch where you're walking and don't touch the butterflies or plants. They're allowed to touch you (land on you), but you're not allowed to touch them. You'll find them on the ground, hiding in plants, on the wall and clinging from the ceiling. They're everywhere! 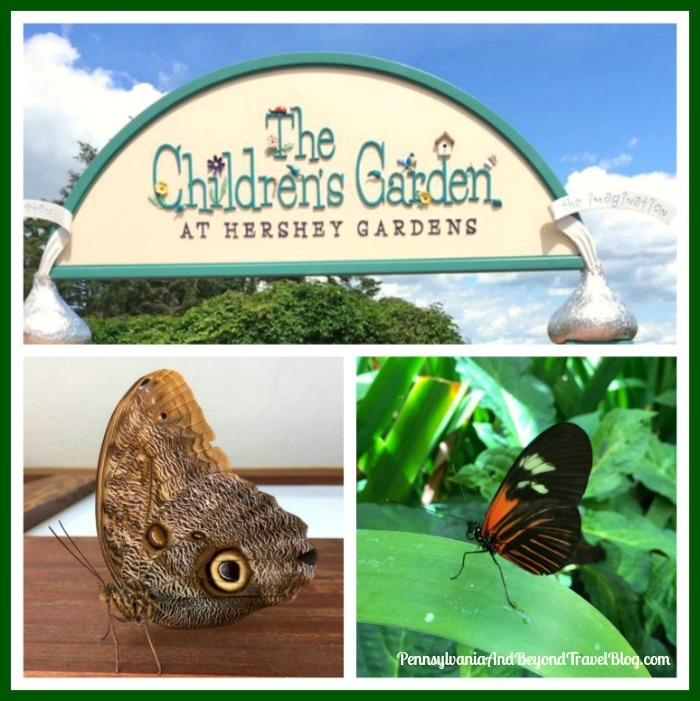 The Hershey Gardens and The Butterfly Atrium are open year-round. Their hours of operation depends on the season of the year. You can find their full operating schedule and schedule of special events by visiting their web site. 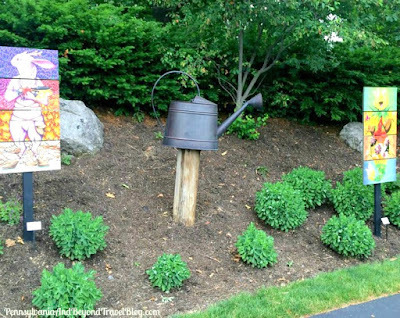 Your admission into the gardens includes your admission into the Children's Garden and the Butterfly Atrium. Admission price ranges from $9.00 to $12.50, depending on age. Children under the age of 2 are admitted free with a paying adult. Discounts are available to groups. 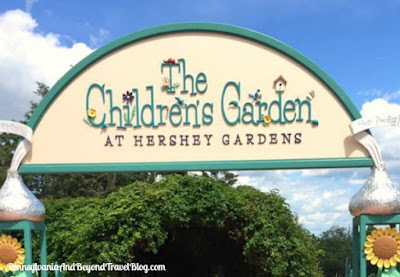 The Hershey Gardens is located at 170 Hotel Road in Hershey, Pennsylvania, across from The Hotel Hershey.